MLS# 219004749DA - 2865 Argus Avenue, Salton City, CA 92275 - Pat & David Fogg | David Fogg Real Estate, Inc. MLS# 219004749DA - 2865 Argus Avenue, Salton City, CA 92275 - Pat & David Fogg | David Fogg Real Estate, Inc. Courtesy of Salton City Realty, Leo Sonny Schultz. Very Cute Custom built 2 bedroom 2 bath house with rap-around patio. This house is all electic with central air conditioning, fireplace, solid wood cabinets, large sky-light in kitchen, 2 sliding glass doors and covered carport. Really cute house you must see!! 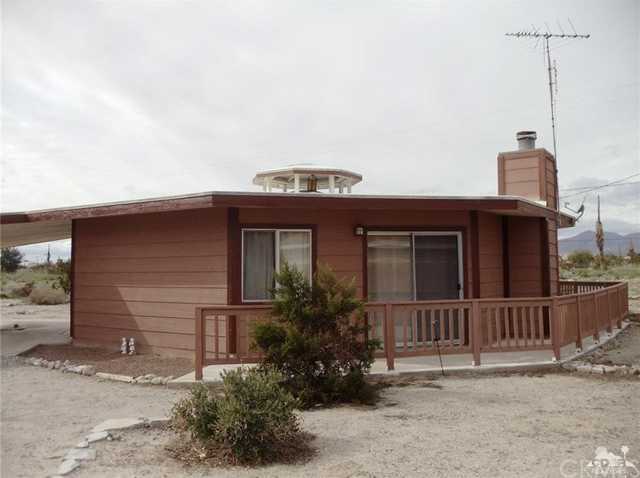 Please, send me more information on this property: MLS# 219004749DA – $94,900 – 2865 Argus Avenue, Salton City, CA 92275. I would like to schedule a showing appointment for this property: MLS# 219004749DA – $94,900 – 2865 Argus Avenue, Salton City, CA 92275. Based on information from California Regional Multiple Listing Service, Inc. as of April 19, 2019 06:01 and/or other sources. All data, including all measurements and calculations of area, is obtained from various sources and has not been, and will not be, verified by broker or MLS. All information should be independently reviewed and verified for accuracy. Properties may or may not be listed by the office/agent presenting the information.